Dr. Min-Ho Kim received his doctoral degree in Biomedical Engineering from Pennsylvania State University in 2004. After then, he received a postdoctoral training at the University of California at Davis, where his research was focused on understanding the molecular and cellular mechanisms by which local inflammatory environmental cues alter phenotypic switch of tissue infiltrating innate immune cellsto tissue injury and infection. In 2012, he joined Kent State University as an Assistant Professor in the Department of Biological Sciences where he has developed research programs in tissue engineering application in wound healing. His current research focuses on developing novel therapeutics to promote the resolution of non-healing chronic wounds based on precise understanding of crosstalk between macrophages and mesenchymal stem cells. 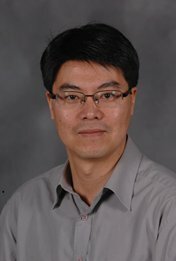 He is a recipient of the Farris Innovation Award and his research has beenfunded by NIH.